Wieden+Kennedy is an independently owned American advertising agency best known for its work for Nike. Founded by Dan Wieden and David Kennedy, and headquartered in Portland, Oregon, it is one of the largest independently owned advertising agencies in the world. An independent, creatively driven advertising agency that creates strong and provocative relationships between good companies and their customers. W+K believes that it doesn't matter where, how or in what medium an idea is expressed, you still have to start with a good one. Wieden + Kennedy take great pride in that they are an independent agency compared to other agencies that have been gobbled up by larger corporations. They remain true to their goal of being independent and as creative as possible. 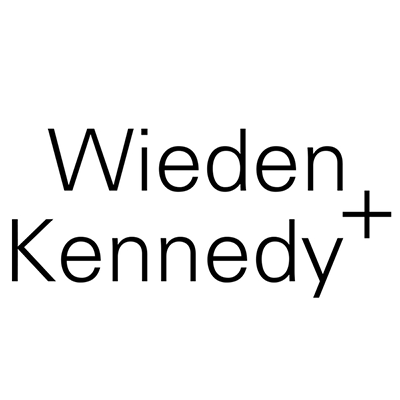 Wieden + Kennedy believe and implement that it is essential for them to have strong and provocative relationships with their customers. They are run by very creative people with a diversity of many talents and that is how they believe that they are unequal to any other advertising agency. Dan Wieden and David Kennedy opened their independent advertising agency, Wieden + Kennedy, on April 1, 1982. Dan and David met in 1980 at McCann-Erickson and they began working together on the NIKE account in 1980. Two years later, they left to create their own agency and taking with them their client NIKE. By 1990, Widen + Kennedy had risen to become one of the most acclaimed creative agencies in the United States. Through the years of growth, they had gained more famous clients including Microsoft, ESPN, Coca-Cola and others. By 2004, it had shifted to a global agency when they opened offices in Shanghai, New York, Amsterdam, London, and Tokyo. Wieden + Kennedy is a creative driven and independent advertising agency. They approach their customers by ensuring them that between the two of them, a strong relationship will arise. They help their clients make a starting idea that later on they turn into reality. Wieden + Kennedy's independence is reflected through the work and culture of their offices worldwide. They use their creative staff to make sure that their clients are being represented and expressed through their advertisement in the best way possible.